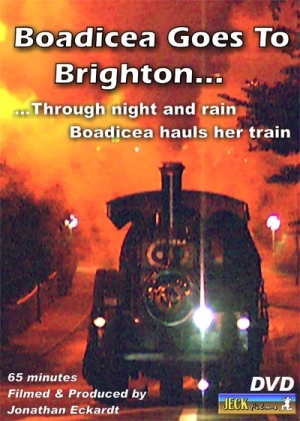 The epic trip by the famous McLaren Steam Road Engine ’Boadicea’ taking part in the 1997 Battersea, London to Brighton Commercial Vehicle Road Run. It was planned by it’s owner Les Searle from Horsham, Sussex and executed with the help of a band of dedicated friends. It contains images of Steam in action rarely ever seen. The material used for this DVD comes from the archives of Jonathan Eckardt - Jeck Films and is the first of a series which will be published in the future.